Mail-In Rebate! - Get $100 back with the purchase of Bestop Powderboards. See More. If you're looking for style and functionality, you've come to the right place. 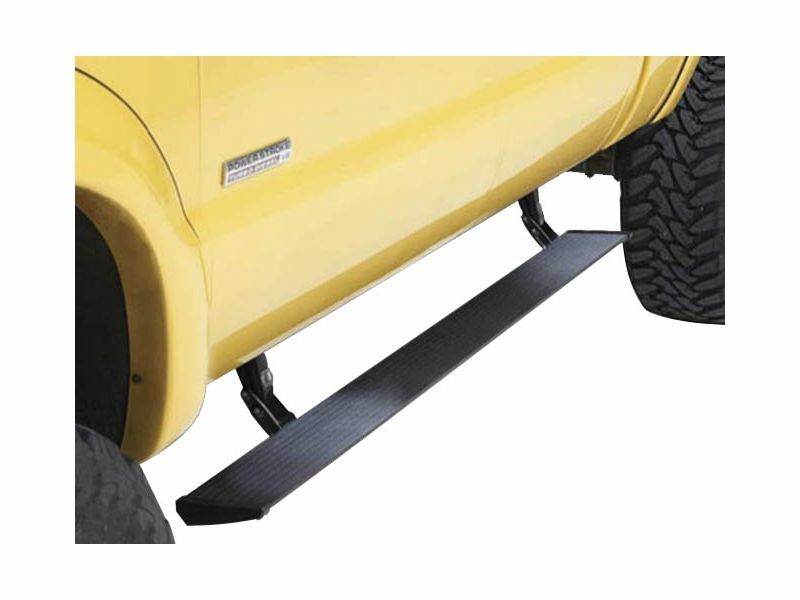 The Bestop PowerBoard NX Wireless Running Boards extend out when you need them, and retract when you don't. This provides extreme functionality of a 7" step, without the bulk and presence of them. And now, PowerBoards are easier than ever to install! Simply run power to the boards and mount the wireless sensors where they need to go. The NX Wireless Boards come with everything needed to get them installed and functioning in no time. By simply opening the door, the boards will extend down roughly six inches and offer the perfect step, into and out of your vehicle. After your door is closed, the board will wait three seconds before retracting back into its stealthy location. These boards carry a 3 year/100 thousand mile warranty, and support up to 600lbs per side. Purchase a set today and experience OE-Premium functionality with an easy and affordable product.